Meraki in Greek means to put one’s heart and soul and lots of love into an effort. Like we do with “Melitimon”. 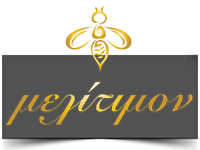 Our webpage aims to acquaint you with the bees’ magical world and also honey, a complete nutritional food which has been consumed by the Greeks since the ancient times. It was the honey’s precious nutritional value that set a spark for Melitimon’s creation. Follow us to the bees’ magical world and we promise you that by the end of this journey you will have tasted the bees’ purest products.